(Bloomberg Opinion) -- Once again, private equity is writing a check when stock market investors are tightening the purse strings. 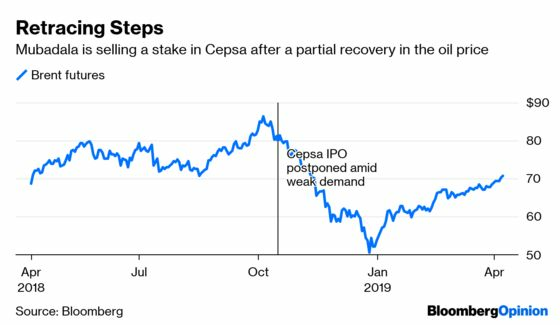 Carlyle Group’s purchase of a minority stake in Spanish oil refiner Cepsa from Mubadala Investment Co. appears to exploit the Abu Dhabi investment fund’s desire to sell and the IPO market’s hesitation to buy. But an opportunistic investment isn’t always a bargain. This isn't a conventional buyout. If it sours, it will be fresh evidence of an industry groaning under the weight of capital it still has to deploy.